No more staring, mocking or harassment by men at a gym. Enjoy a safe, judgement-free, and friendly environment. Listen to upbeat music while you feed off everyone’s energy to kick and punch all your stress away! Non-contact format. It’s you vs. BOB, our life-size boxing dummy, who is tough on the outside but soft on the inside. Don’t worry, he won’t hit back. See your heart rate real-time on the big screen as you push for optimal results. Collect effort points, track your progress and compete with friends. 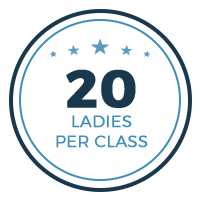 Hers Kickboxing is more than a boutique fitness studio. We rejoice with your successes and we believe in you no matter what. Here you are more than a number, more than a member, you are one of our own. We will train with you and empower you. We will give you the tools you need to succeed. Even if you haven’t been to a studio in a long time, or maybe ever. You may be a fitness buff or you may be a complete novice. Don’t worry. There is a place for you at Hers Fitness. We keep our boutiques small so you never feel lost. We embrace your challenges with you and we create a space where you have the support you need to succeed. We have the newest tech to keep track of your progress and support you even between studio sessions. While you work out you can watch your heart rate in real time and adjust your workout as needed. It shows you how hard you are training and makes it easy to achieve your personal goals without guesswork. You can see your workout summary, track your progress and participate in challenges to collect reward points. Motivation is the game with real life results. Get yours before your next class! You can also ask us about your personal health app where you can keep track of your progress between sessions and make fitness a lifestyle choice that propels you to the next level. 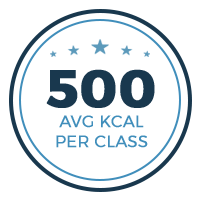 “Hers Kickboxing has been very friendly and helpful. I love that it’s 45 mins and done, not something I have to spend hours and hours doing. The friendly competition helps keep me motivated, but in all honesty the only real competition is with yourself!” ~ Noele H.
Download & Install Hers Kickboxing Studios App Check class schedule and manage bookings on the go! Our app also has heart rate monitoring and workout progress tracking features built-in. It is a perfect companion with our own Hers heart rate monitor and most other connected devices on the market. The Ready, Set, Slim Challenge was the kickstart I needed to make some healthy changes in my life. I have struggled with my weight for years due to health reasons, and in only a month doing the challenge, I saw results that inspired me to continue. The trick was going to class a few times a week and really trying to eat balanced meals throughout the day. That combined with the support of both the Hers employees and the other challengers has helped me gain self-confidence I had lost and made me feel better than I have in years. Not only does it cover all areas physically but mentally too. Hers Kickboxing is a full body workout that is intense and fun compacted into 45 minutes. The instructors are awesome and the music is great. They also do monthly challenges for those who love a challenge or you can go at your pace and intensity. There are different variations of kickboxing in each class with a mixture of conditioning. There are so many possibilities! I love how supportive and encouraging everyone is…both members and staff alike. In a month, I dropped 5 lbs already and it’s also made me make better food decisions since I&#39;m this road to a healthier lifestyle. And this is where Hers has made the biggest impact on my life….I’m more committed to my health and fitness in all aspects of my life. I love the feeling of accomplishment I have after leaving a class, no matter how my day has gone, I’ve at least achieved my fitness goal! It has given me more energy, feel more confident and most importantly, I FEEL HEALTHIER.